VietPress USA (July 24, 2018): This is what President Trump’s trade policy is starting to feel like. First, Trump told us his trade wars would be “easy to win.” Just trust him. Then he launched his trade wars, with tariffs on steel and aluminum imports and a separate group of imports from China. 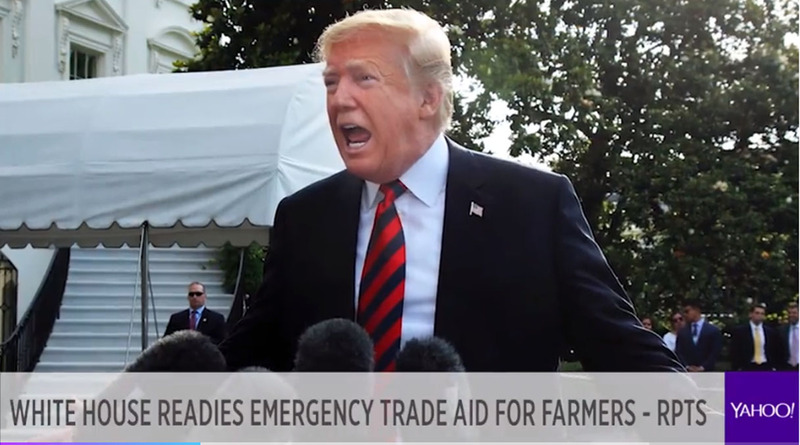 Today the Agriculture Department of Trump's administration announces to offer US$12 Billion for aid to Farmers who lost their jobs and market in China.